Experience the earth's beauty at its most elemental in this rocky-and-rugged desert corner of the Colorado Plateau. 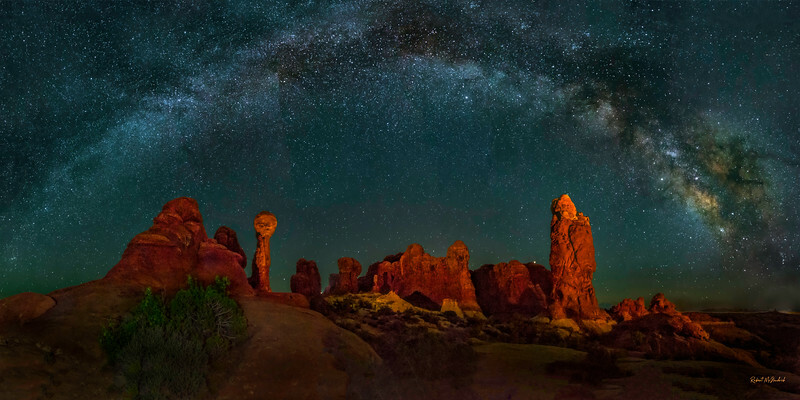 Beyond the few pine-clad mountains, there's little vegetation to hide the impressive handiwork of time, water and wind: the thousands of red-rock spans in Arches National Park, the sheer-walled river gorges from Canyonlands to Lake Powell, and the stunning buttes and mesas of Monument Valley. The town of Moab is the best base for adventure, with as much four-wheeling, white-knuckle rafting, outfitter-guided fun as you can handle. Or you can lose the crowd while looking for Ancestral Puebloan rock art and dwellings in miles of isolated and undeveloped lands. A feature common to the landscape of the Colorado Plateau is the Island Mountain Range, represented in southeast Utah by the Abajos, Henrys and La Sals. These ranges formed during the late Tertiary Period (15 to 40 million years ago), long after the local sandstones had been deposited and cemented into rock.